Christmas is next week. Are you ready? You might be worried about finishing your Christmas shopping, decorating, or cooking and we don’t blame you! 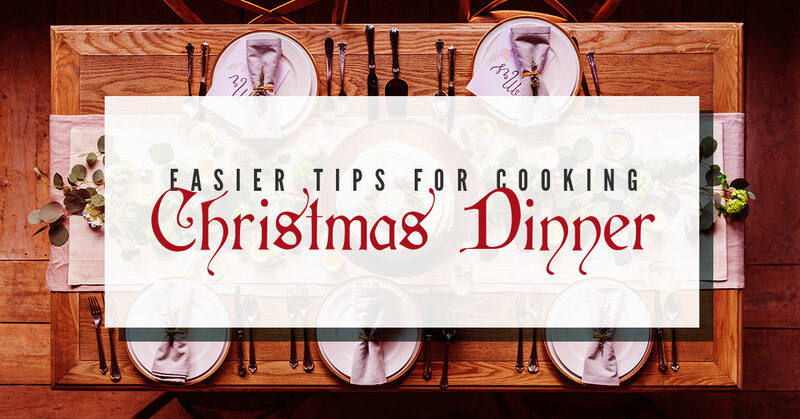 It’s a busy time of the year, and it can become very stressful very easily, which is why we’ve dedicated this blog toward helping you prepare your Christmas dinner much easier than you may have in previous years. At Joseph’s Classic Market, our fresh food will provide you with some great ingredients for your dishes. From delicious hams to fresh baked goods, you’ll be able to find everything you want to serve at your holiday dinner. Located in Boca Raton and Palm Beach, FL, you can make your life a little easier by ordering online or by coming into either of our markets. You might be feeling overwhelmed, nervous, or anxious about cooking your Christmas dinner. If it’s your first year, then you’re probably feeling these emotions tenfold and you’re probably struggling with where to start. If it’s your 10th year doing this, then you might be feeling a little annoyed that it is constantly up to you to provide food for your family and friends. Our fresh market is here to make your life a little easier by providing some tips you can utilize during this busy and stressful time of the year. Stay calm in the kitchen with these essential tips to cooking the best holiday dinner. Splitting the duties will take some stress off of your plate and help save you money. Splitting up the duties either between your family members, friends, or even between you and your partner will save you some time and eliminate the stress you may be feeling. You can divvy up the duties and make it more of a potluck dinner, or you can make a list to split in half between you and your partner. You can also create a schedule to figure out how to fit in all of the cooking in different days leading up to Christmas. You can also create a schedule just to write down when everything needs to be done. A schedule can also help to eliminate needing to cook a bunch of food all on the same day. By writing everything down and knowing when things need to be in the oven or taken out, you won’t be so stressed on time or worried that something isn’t going to get done. If it’s your first year hosting Christmas, then you might really want to go over the top. While we always encourage you to experiment with fresh foods and different dishes, for this holiday, you might want to go easier where you can. By taking some of the load off your shoulders with drinks and easy sides, you can concentrate more on entrees and other dishes you want to put on your table. There are some appetizers, drinks, and desserts that are delicious even though they may be a little easier than you’d like to go for Christmas. Lastly, if you just don’t have the time or the desire to cook, Joseph’s Classic Market offers a catered Christmas dinner. In this Christmas dinner, you can enjoy an entree of your choice, vegetables that you like, a choice of side, and a few extras. Eliminate the stress of figuring out the duties when you decide to go with our catering option. For more information on catering, take the time to contact us.